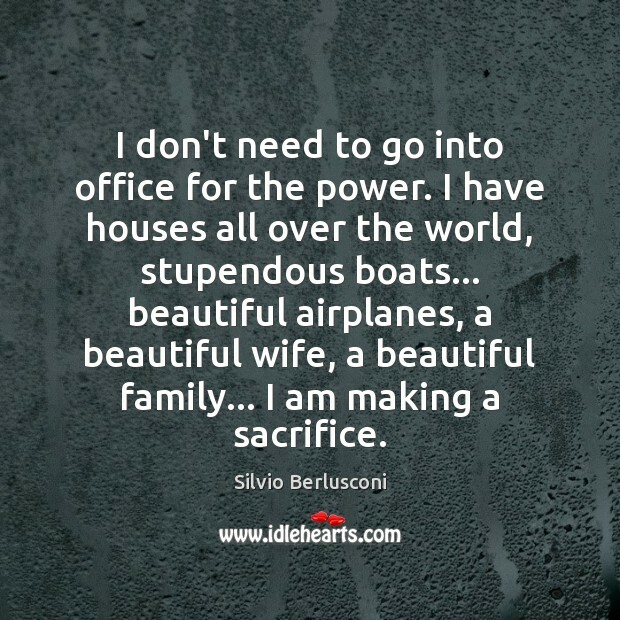 Quotations about Beautiful Wife. Quotes to stimulate mind and drive action! Use the words and quote images to feed your brain inspiring things daily! 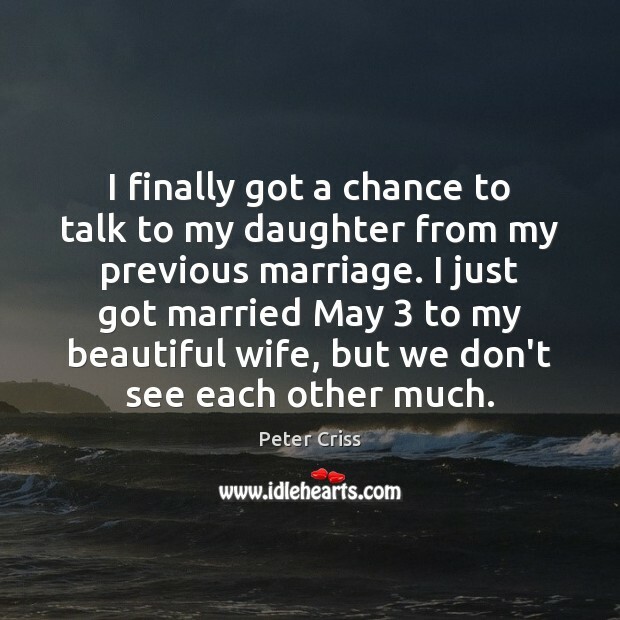 I finally got a chance to talk to my daughter from my previous marriage. I just got married May 3 to my beautiful wife, but we don't see each other much. 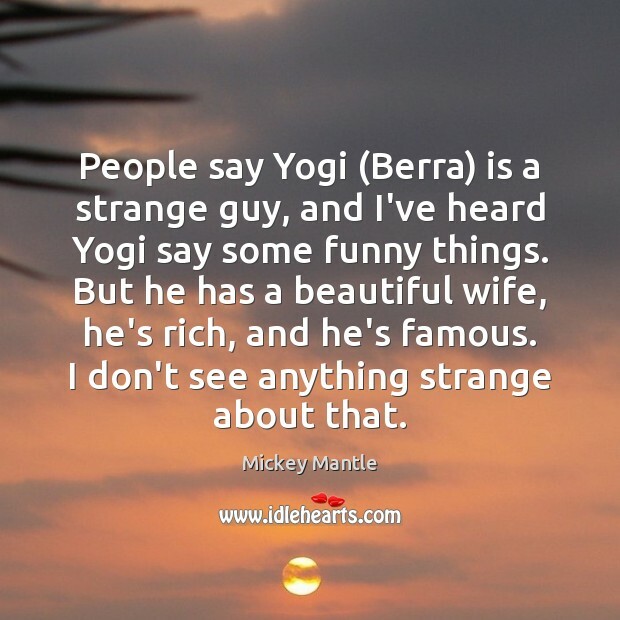 People say Yogi (Berra) is a strange guy, and I've heard Yogi say some funny things. But he has a beautiful wife, he's rich, and he's famous. I don't see anything strange about that. I have so much satisfaction in my life. 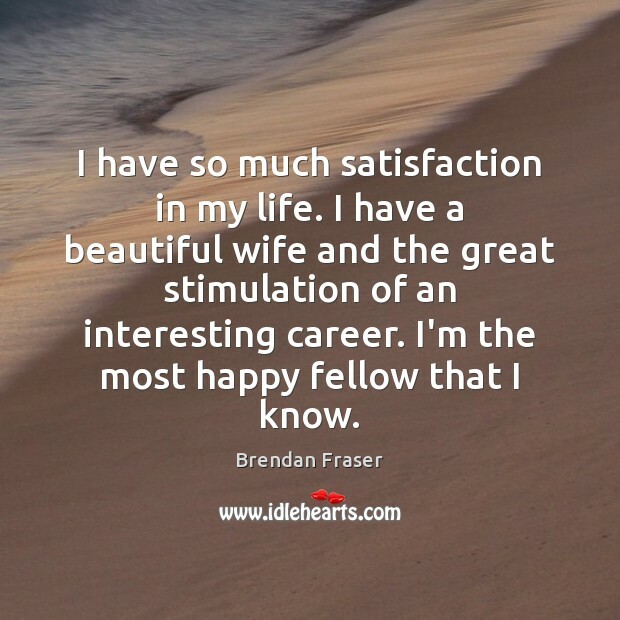 I have a beautiful wife and the great stimulation of an interesting career. I'm the most happy fellow that I know. 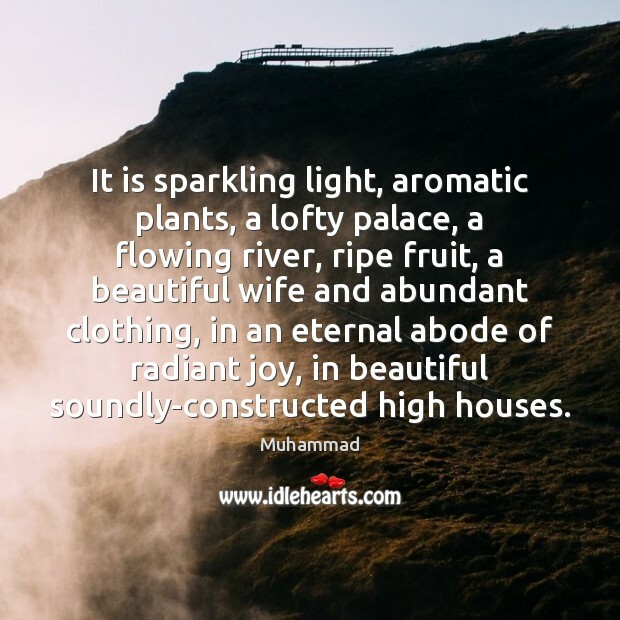 It is sparkling light, aromatic plants, a lofty palace, a flowing river, ripe fruit, a beautiful wife and abundant clothing, in an eternal abode of radiant joy, in beautiful soundly-constructed high houses. In a perfect world, my tennis game gets better. I have kids and a beautiful wife and live on some hill somewhere that's not in Los Angeles. 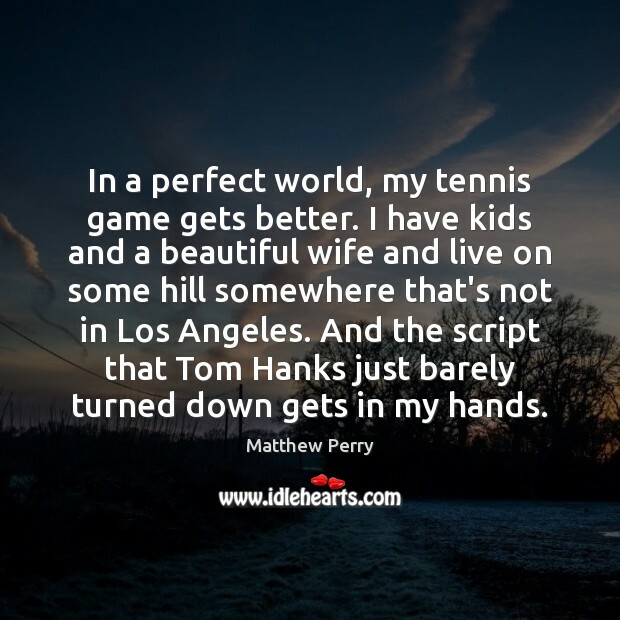 And the script that Tom Hanks just barely turned down gets in my hands. 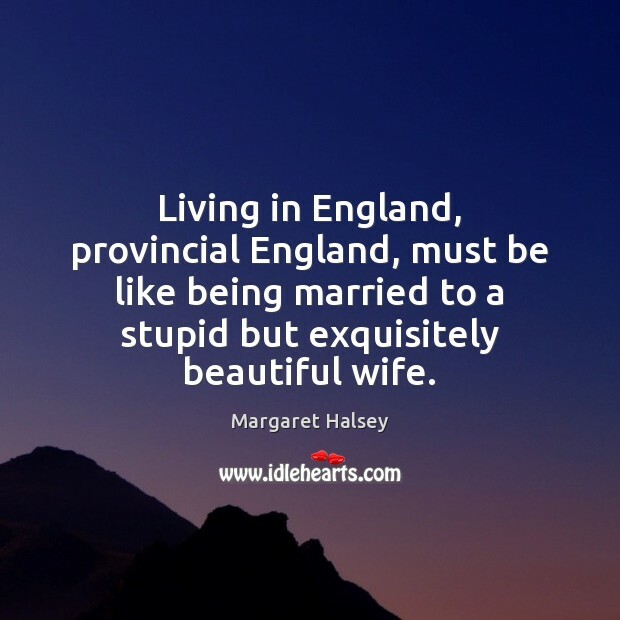 Living in England, provincial England, must be like being married to a stupid but exquisitely beautiful wife. I'm living the dream. 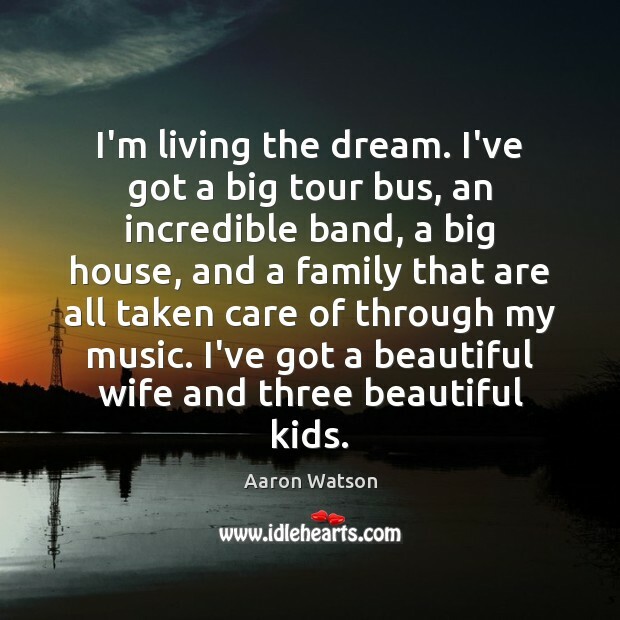 I've got a big tour bus, an incredible band, a big house, and a family that are all taken care of through my music. I've got a beautiful wife and three beautiful kids. 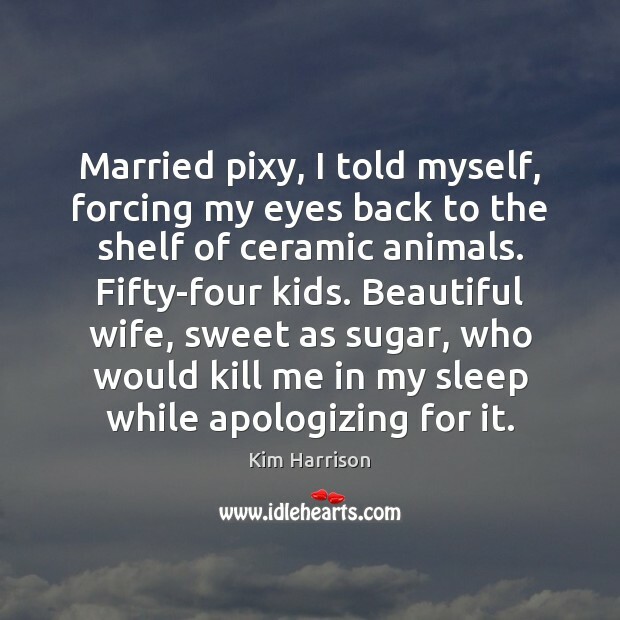 Married pixy, I told myself, forcing my eyes back to the shelf of ceramic animals. Fifty-four kids. Beautiful wife, sweet as sugar, who would kill me in my sleep while apologizing for it. I love women. I'm crazy about them. I have a beautiful wife, who's the greatest thing that's ever happened to me, and I teach my son to respect women and other people's position in the world, whatever it is. 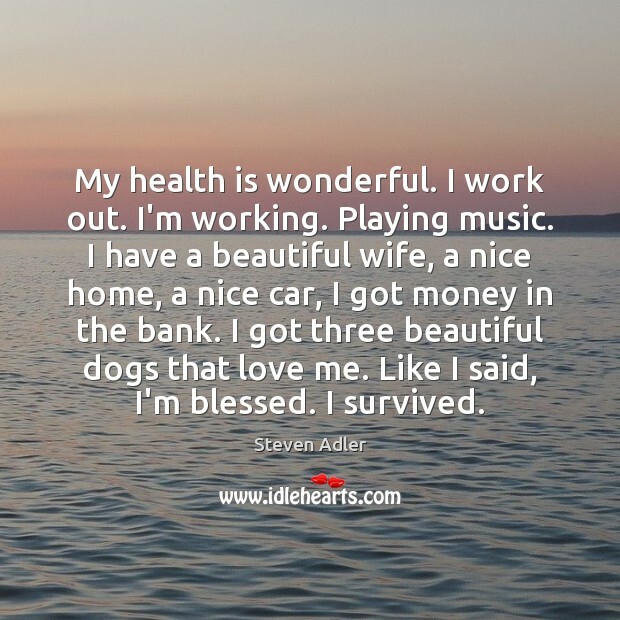 You can't take life for granted. 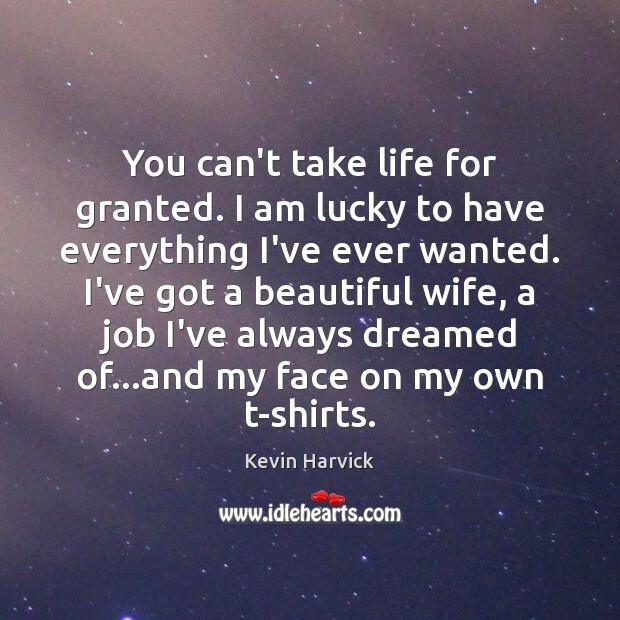 I am lucky to have everything I've ever wanted. I've got a beautiful wife, a job I've always dreamed of...and my face on my own t-shirts. 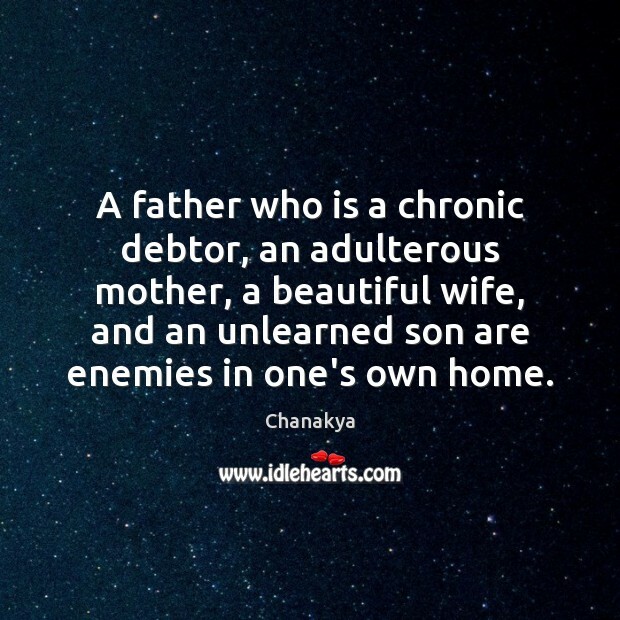 A father who is a chronic debtor, an adulterous mother, a beautiful wife, and an unlearned son are enemies in one's own home. 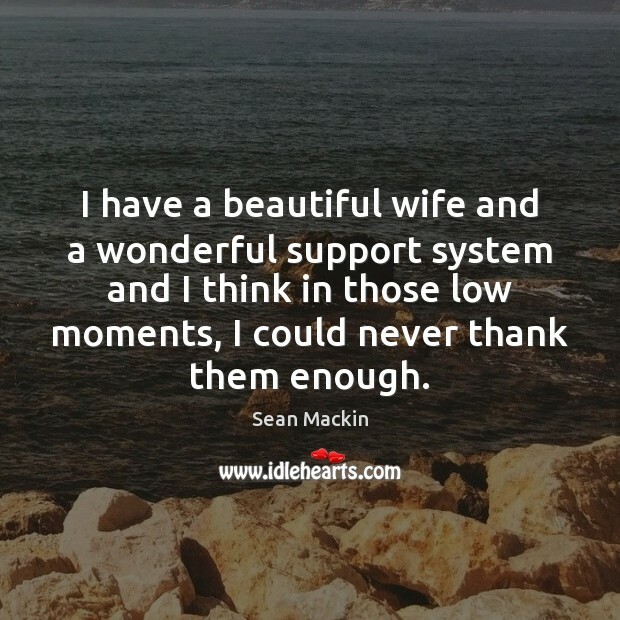 I have a beautiful wife and a wonderful support system and I think in those low moments, I could never thank them enough. I've been lucky to have a beautiful wife and children. The idea that something so beautiful can be so horrific at the same time. 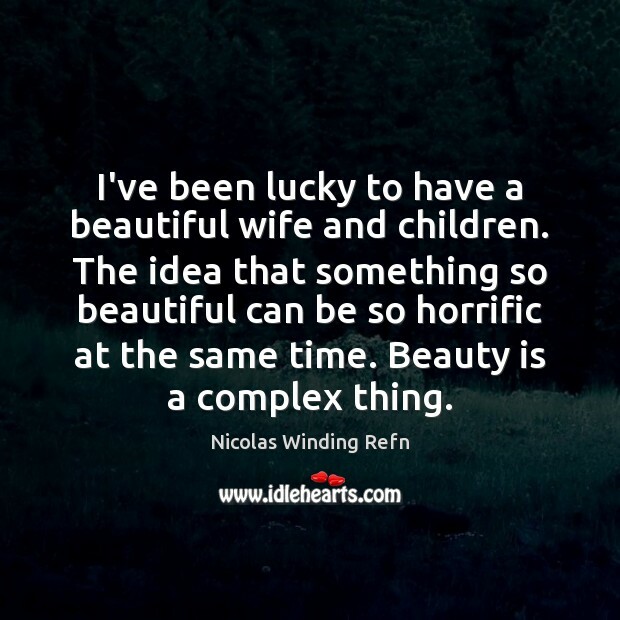 Beauty is a complex thing. Me having a beautiful wife and great family and friends around me, all the money I've got, all the things that I've got, a Ferrari that I just ripped the top off of and turned into a convertible, the rings I got, the two mansions on the water, a master's in criminal justice, I'm a cop, plus I look good. 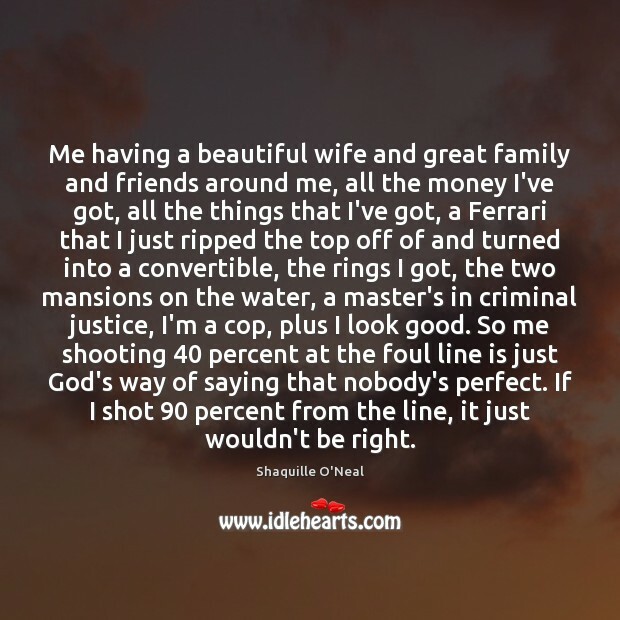 So me shooting 40 percent at the foul line is just God's way of saying that nobody's perfect. If I shot 90 percent from the line, it just wouldn't be right.